Whether you are looking for a juicy murder mystery or a book about your newest vacation destination, the Perham Area Public Library has you covered. The Perham Area Public Library first opened its doors in 1921. Today, they have a beautiful, 8,000 square foot stone building with vaulted ceilings that is operated by a full- time librarian and 40 volunteer staff. Their mission is to serve the educational, informational, recreational, and cultural interests and needs of the community. 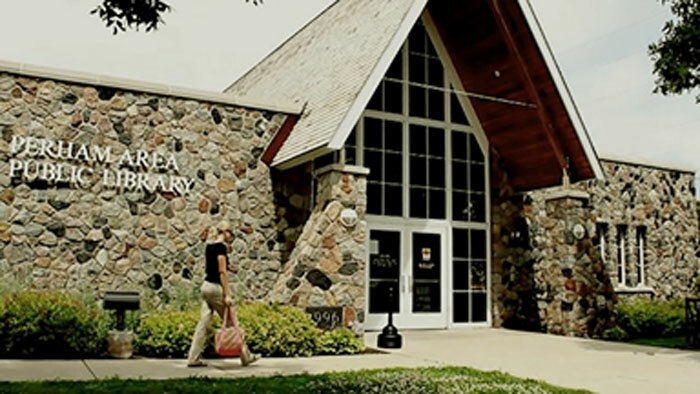 Through its association with the Viking Library System and telecommunications networking, the Perham Area Public Library serves as the commmunity’s connecting link with the total library resources of the region, state, nation, and world. There is also a lovely children’s library equipped with age-appropriate books, puzzles, computer games, small tables and stuffed puppets. They also have an extensive summer reading programs with activities throughout the summer for kids of all ages. Our library has been marked as one of the best libraries of its size in the United States three years in a row.